One booking and it’s done. There’s no need to worry about rental car and hotel availability in each location you want to visit. You have your accommodation and transport sorted in one go. A campervan gives you total freedom as you aren’t tied to a tour group or just one location. It’s about adventure and discovery and a holiday on the road is a wonderful way to make memories together. Who wants to spend the first few days of married life in a hotel with hundreds of other people? In a campervan, you can get away from it all and enjoy total solitude, particularly if you try freedom camping, where you stay in more remote (and often spectacular) spots that aren’t public campgrounds. There’s no need to battle for sun loungers next to the hotel pool when you have your pick of New Zealand’s beautiful beaches. Stock the campervan pantry and spend the night by a secluded beach with just the sound of crashing waves for company, or hang out with the locals and party at one of the many popular beachfront towns scattered along New Zealand’s coast, where the bars and restaurants are just a short stroll from the sand. 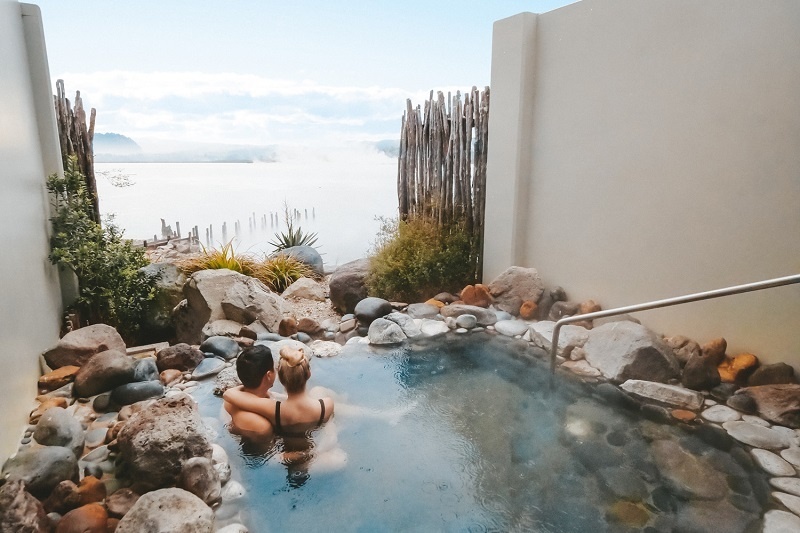 If you’re visiting in winter, then the spas and hot pools around geothermal Rotorua are a must-do, or at Hanmer Springs at the top of the South Island. New Zealand was born ready for its close-up. Forget boring shots from the same hotel balcony day after day and make everyone back at home jealous with your shots of bubbling mud and geysers, surf beaches that stretch for miles, snow-capped volcanic peaks, and ancient native forests. New Zealand’s cities offer their own charms too – from Auckland’s multicultural harbour city, to Wellington’s urban capital cool, revitalised Christchurch, or Scottish-influenced Dunedin. Check New Zealand’s Top 10 Instagram Locations for more inspiration. 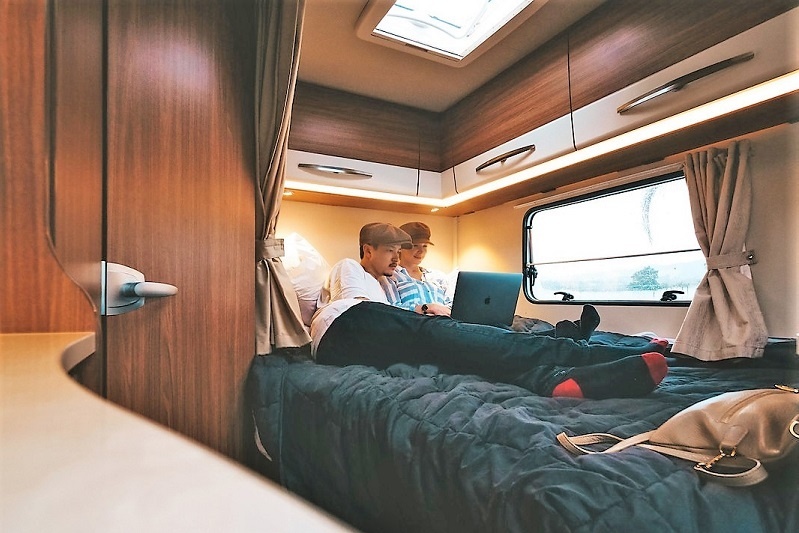 The modern campervans from Wilderness Motorhomes have large comfortable beds, full bathrooms with showers and toilets, state of the art entertainment systems and practical kitchens. Yet, unlike a hotel, a campervan lets you enjoy a different view every day. They’re easy to drive (no special license required), and to park. There is also a range of extras available to make your holiday even more fun. Fancy the idea of biking around some of New Zealand’s beautiful lakes, or between winery cellar doors? You can add ‘cycling holiday’ to your honeymoon description and book bikes through Wilderness Motorhomes at the click of a button. 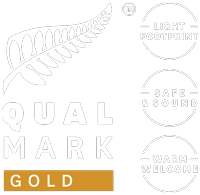 You can also add a portable barbecue plus camping chairs and a camping table for true Kiwi-style al fresco dining. So, what are you waiting for? Check ‘book honeymoon’ off your To-Do list and get in touch with the friendly team at Wilderness Motorhomes today.